To increase spectrum efficiency, the radio resource management with frequency reuse factor = 1 is usually adopted in multi-cell orthogonal frequency division multiple access systems. Such a reuse-one strategy results in severe co-channel interference, especially penalizing mobile users near the cell border. 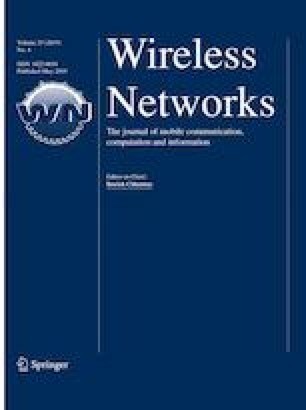 This paper presents an effective subcarrier-assignment algorithm to mitigate the co-channel interference for multi-cell orthogonal frequency division multiple access downlink systems. The proposed algorithm consists of an initial assignment phase and a compensation phase. In the first phase, each subcarrier is assigned to mobile users with higher channel gains and lower mutual co-channel interferences. The second phase further compensates mobile users who do not get adequate resources to meet the requirement of quality of service in the first phase. System simulation results reveal that the proposed algorithm can significantly improve the number of QoS-satisfied users compared with previous used scheme.